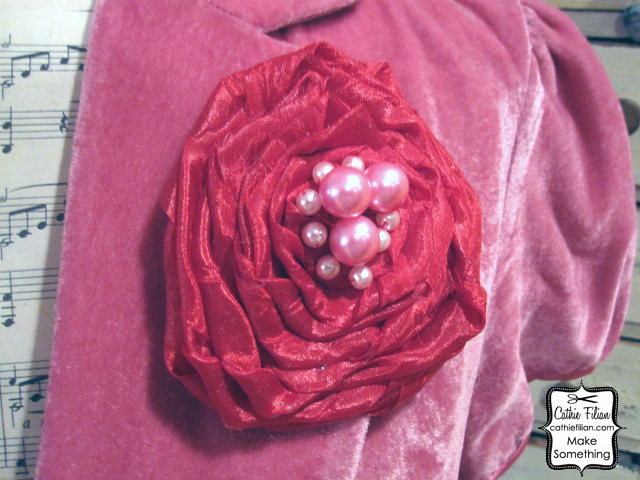 Cathie Filian: Tutorial: Ribbon and Pearl Rose Pin.... Perfect for Valentines. 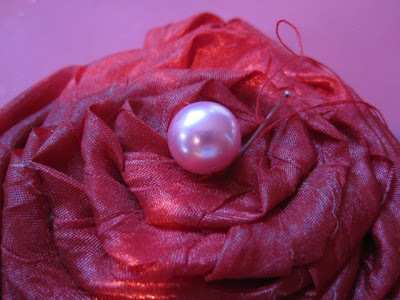 Tutorial: Ribbon and Pearl Rose Pin.... Perfect for Valentines. 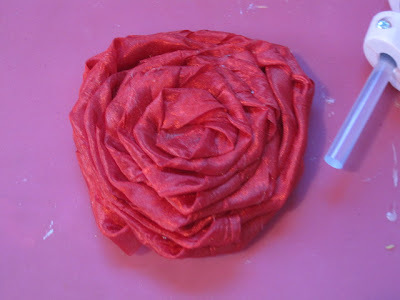 With a few ribbon twists and drops of hot glue you can whip up a rose pin that has a romantic look. Gather This: Ribbon, Hot Glue, Pearls, Needle, Thread and a Pin-back. Begin with 2 yards of 1.5 to 3" wide ribbon. 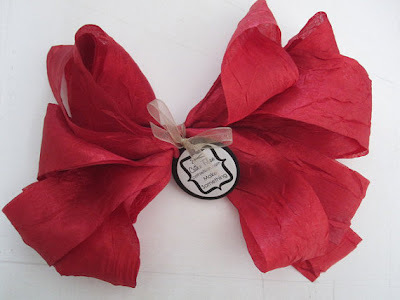 The distressed crepe ribbon used is from my supply shop but you can use almost any wide ribbon or torn strips of fabric. Visit my shop here. 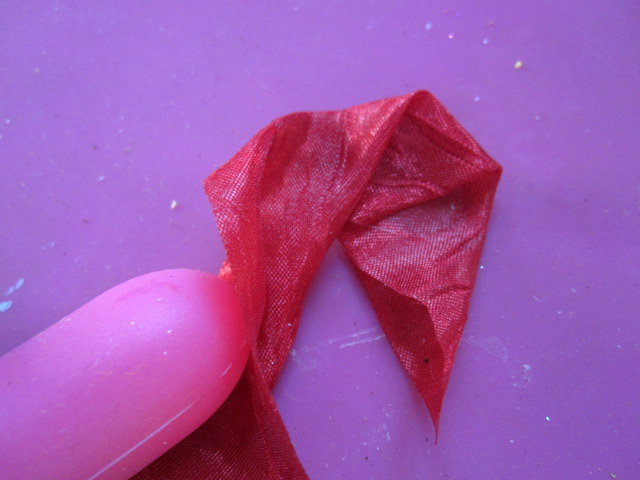 Begin on one end of the ribbon, fold the corner on an angle and hot glue to secure. What is that pink thing on my finger? 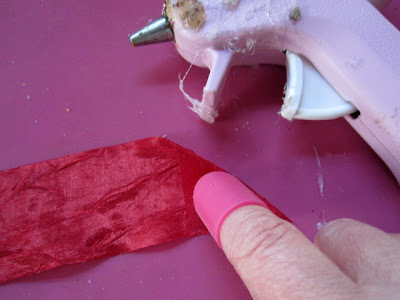 Hot Glue Gun Helpers.... No more burns! Begin twisting and folding the ribbon. Hot glue as you twist. 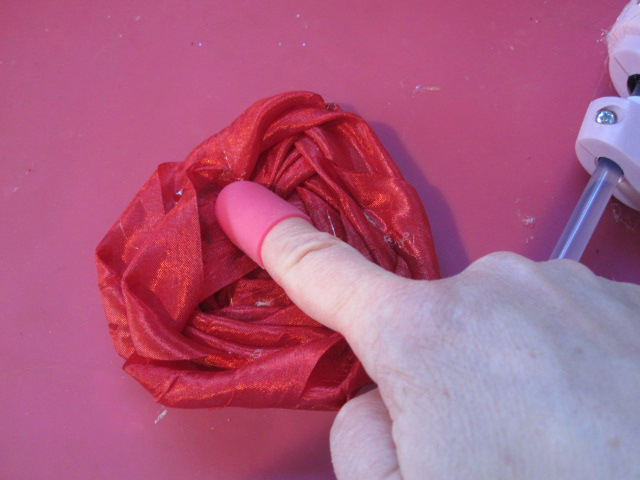 Continue to fold, twist and glue. Continue until the entire length of the ribbon has been twisted and hot glued to the back side. Flip over and hot glue the tail-end to the back of the rose. 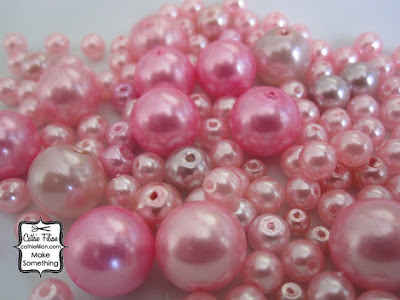 Pink embellishing pearls from the supply shop. Visit the shop here. Stitch a selection of pearls in the center and a pin back to the back. Love the new look. You've been busy. 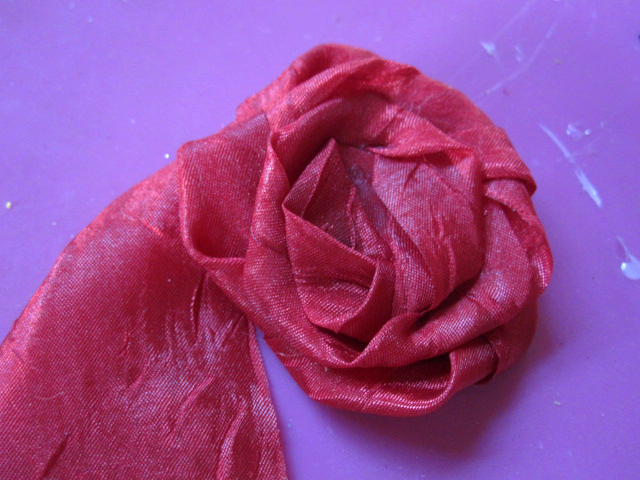 Great Ribbon Rose project. I saw you recently on "Sew It All" and loved the Zipper trim Flowers. They were fabulous. Thanks for the inspiration. Tell Steve Hi! I miss you two on Craft shows...BRING THEM BACK! This is very very very pretty! Thank you for sharing this diy! Very cute... I think I might make matching ones for my daughter and her AG doll! Matching ones would be sooooo cute! Hi Cathie, I like like like. 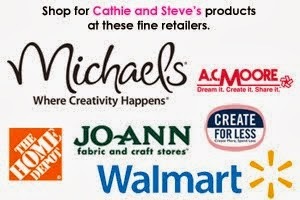 I enjoy your show creative juice and I miss watching you and Steve. I saw you on utube with the Plaid line and was ecstatic to see you guys. Please please please come back to us on the television. Thanks so much! We are pitching new shows and prepping for more videos. I really appreciate you writing - it keeps us going!